Vanesri is a remedial education teacher at a government school in Malaysia who received a first class honours degree and is teaching students aged from 7 to 12. Though just 25 years old, she has achieved outstanding results in reintegrating children, particularly slow learners, into mainstream schools. One of her methods consists of asking students to work on individual projects, starting with a proposal. Once they have finished their project in line with the protocol, they present in front of the other students in assembly, thereby gaining in self-confidence. She has used other project-based work to engage students in discussions of global citizenship issues. For example, she has invited NGOs into her class to talk about nuclear weapons, and she has done a Go Green project to teach about climate change and recycling. Her methods have succeeded in sending 14 remedial students back to mainstream classes in just eight months, and several of them have gone on to outperform their classmates. 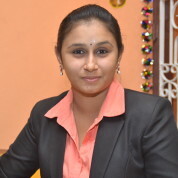 Vanesri has won several prizes, including a Best Innovation Award at national level as well as a Sports Education Award in Thailand for the way she has integrated sports into her teaching. Her award for Best Thesis has led to her being invited to speak at 14 schools, and she has been covered in newspapers and on television. Join the #TeachersMatter movement by sharing Vanesri Kasi’s update.